What are two approaches to reviewing past research? The narrative review is useful for documenting the unfolding story of a particular research theme. The aim is to summarize and synthesize the conclusions of others into a compelling narrative about the effect of interest. Of course, this can be tricky to do when previous researchers have come to different conclusions or have drawn conclusions about substantive effects by looking at p values. In contrast, meta-analysis completely ignores the conclusions that others have drawn and looks instead at the evidence that has been collected. Evidence, in this case, refers to study-specific estimates of a common population effect size. By combining the independent estimates into an average effect size, a meta-analysis is able to draw an overall conclusion regarding the direction and magnitude of the effect of interest. What’s wrong with the traditional narrative review of the literature? On each count meta-analysis offers a superior alternative. 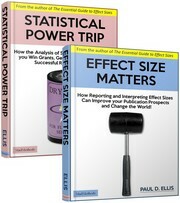 For more, see The Essential Guide to Effect Sizes. You are currently browsing the archives for the literature review category.